Although this time of year brings the longest days with the sun staying out late into the evening, I often find that summer days slip by faster than any other time of the year. Between finishing up my summer courses, starting my practicum, and finding some time to relax it seems that my writing has been put on the back burner (this may also be because of the glare on my laptop screen when I sit outside – a book is much more forgiving!). Regardless, over the past couple of days I have been missing putting my thoughts into words, and I have been missing pouring out to my loyal readers... although I assume most of you are enjoying more time outside than online these days too! Last week I had the opportunity to pack up and head out of the city for a couple of days, and trust me, whenever I get an invite to lie on a beach you better believe I am going to take it. 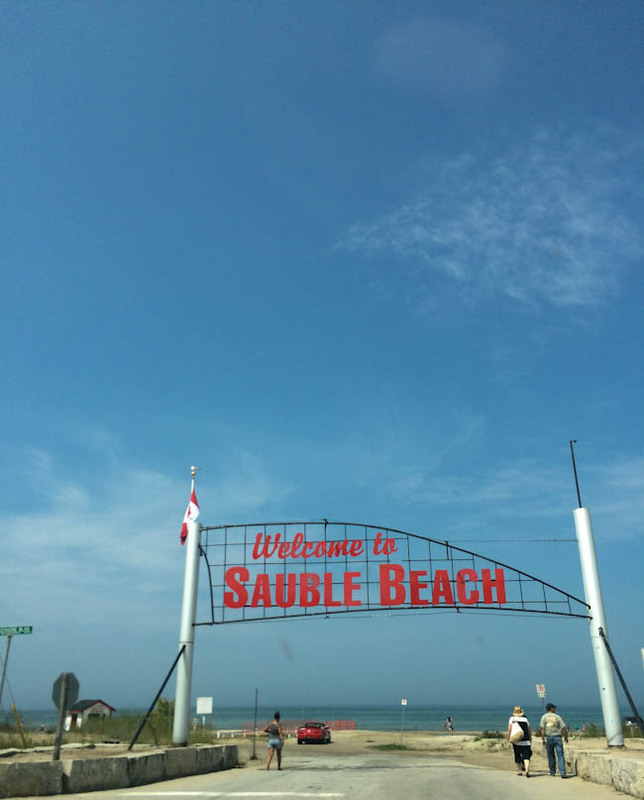 With the sun shining and the Beach Boys coming through the radio, I rolled into Sauble Beach ready for a break, a much needed two night mini-vacation. 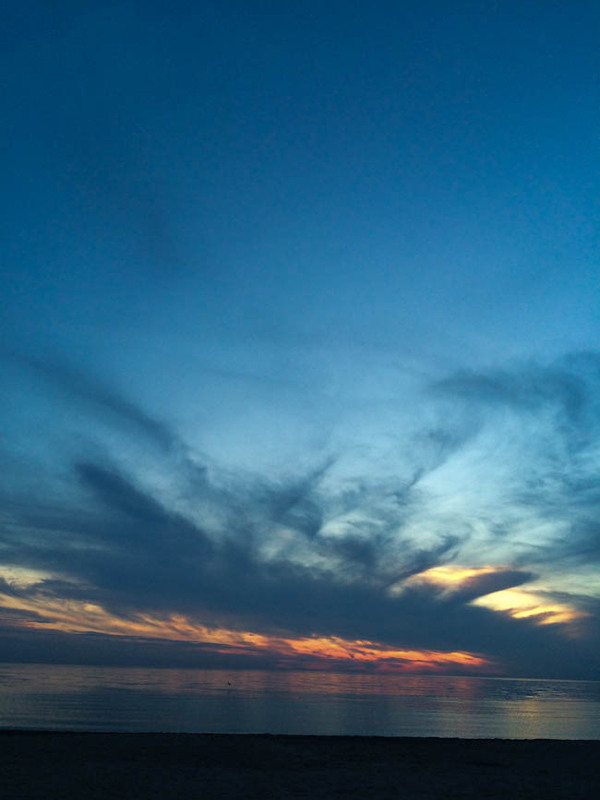 With other family members joining, we settled into the tiny cottage to play some games, enjoy a barbeque, and walk down to the water to catch the sunset. In the morning I decided to get some fresh air (when I say tiny cottage, I mean tiny cottage) so I crawled out of bed and pulled on my running shoes. Over the past few weeks Brandon and I have desperately been trying to get into a routine of waking early and heading to the gym. With some success, I felt confident that I would have the stamina to take a run down the beach – and I didn’t really want to miss a day. I was surprised how quiet and serene the beach was. The cool morning air gave way to a breeze off the water as my feet hit the sand. There is truly something about running next to the still water when no one else is around. I found myself taking out my head phones just to take in the sound of the morning, the stillness of a beach that would later be filled with sun burns and bikinis. Eventually the quiet of the morning was broken with my huffing and puffing (more like heaving) and I decided to quit. I pulled off my shoes, scrunching my toes in the sand as I walked toward the water. With much anticipation I dipped my foot in, hoping to cool off in the warm summer lake. Much to my dismay, it was freezing. I swear as I looked out I saw an ice burg drift by as the water that had just a day before felt so warm had taken a turn for the worst. I stood at the edge hoping I would adjust, disappointed that I may not be able to go in, when a thought came over me. Yes, hypothermia is a real thing, but since I don’t live near water and the shower at the gym is just not the same, I really had my heart set on taking an early morning dip. So, in I went. There are different types of people when it comes to entering a lake off the beach. Some run right in, diving under the water as soon as it comes up past their knees. There are others who walk the shore, always promising to come in but never taking the plunge. Some slowly wade through the shallow end on their tip toes, hands clasped together at their chest, bouncing past every wave and grimacing with each step. I am usually the latter. But I knew I had to run or I would chicken out, and so I did. I ran in, dunked my head, gave a little shriek and ran back out. I think the old man taking his little dog for an early morning walk on the beach thought I was nuts. And here I am, alive to tell the tale. It did not kill me and in all honesty, I’m glad I did it. Dripping wet I made my way back to the cottage, refreshed, determined and already starting to feel sore from my jog. As I reflect back on this dip, this pushing myself further than comfortable, I realized that too often I find myself standing at the water’s edge in life, afraid of venturing out to a place of risk. I dip my toes in the water of things like reaching out to someone I would love to connect with, pushing myself to actually eat/manage time/study better, or being vulnerable with someone only to feel the icy water and back away. And yet, the risk is not going to kill me. If anything, I might be uncomfortable, cold and maybe a bit sandy. But more often than not when I take the leap, I find myself a bit shocked but mostly pleased. I find myself refreshed, cooled off and wondering why it took me so long to run into the water in the first place. I encourage you, if you are finding yourself at the edge of life’s metaphorical lake this summer, take the plunge. Start running in, dunk your head, give a yelp. Who knows what you might find in the water. Who knows how you might feel coming out. One thing you can be sure of is that you will be different... being wet is very evidently different from being dry but I know you will also feel great. And certainly, it is not going to kill you.